$1.00 off any one Suave Professionals Silver or Green 28oz (includes Suave Professionals® Styling products). Save $1.00 off any one Suave Professionals Gold product (includes Suave Professionals Styling products). Load these coupons to your Kroger card to redeem in store. 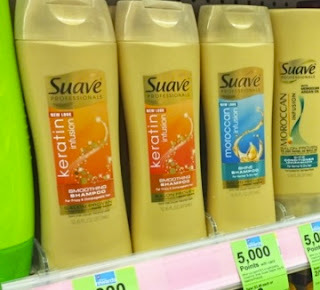 Save on Suave body wash, hair products, body lotion and suave for kids. In Store: $1.00 Off any one Suave Professionals Avocado and Olive Oil, Bamboo + Aloe Hair product or Luxe Infusions Styling Product. In Store: Print out this manufacturer coupon and save $1, valid at Kroger, Target, Walmart, and any store that carries suave products.